Sidari is situated at a distance of 32 kilometers from the capital. It stands out for the geological characteristics of the area as it enters the sea along the coasts, creating coves with beautiful shapes. 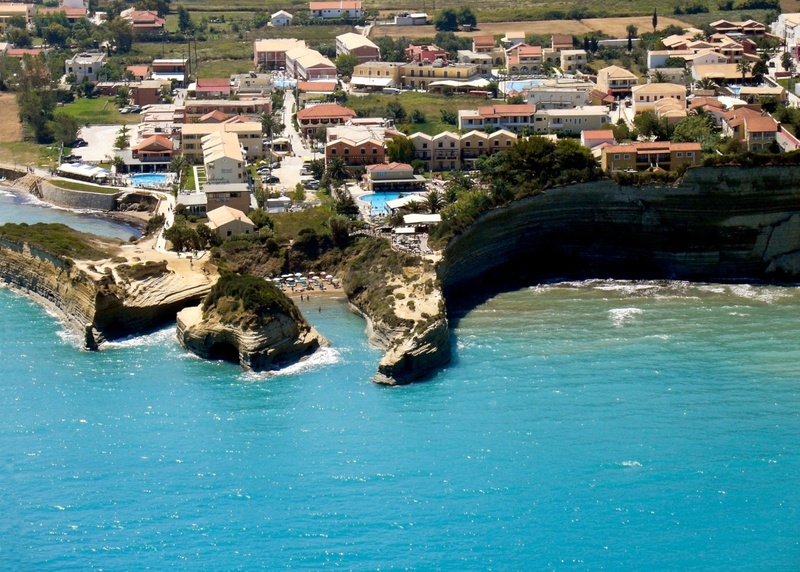 In the southwest, there is one of the most famous resorts of the Ionian Sea, the «Canal d’ Amour» (Channel of Love), a natural canal that sandy masses and the beach of Petroulades has formed in the sea. It got the name from the tradition, saying that anyone swimming through the canal will soon find the love of their life. Sidari has a vibrant nightlife scene. The visitor can choose between many bars, clubs and even an Irish bar that brings the atmosphere of Temple Bar in Dublin Ireland to Corfu. The resort was formed by the merger of two coastal villages while the scarcity and characteristics of the landscape owe much to the unique geological formation of the area. Here, the sea meets sandy shores and creates impressive bays. It's also the place where the remains of the first proven settlement of the island were discovered, dating back to the Neolithic Age. The area is dominated by three sandy beaches that give the water around the coast a yellowish color. Most of them are well-organized with shallow waters, while the beach bars offer sunbeds, promising visitors of every age an unforgettable experience. Find information about selected Hotels, apartments and rooms in Sidari to choose the perfect place for your accommodation.